BARRY ROCHE, Southern CorrespondentA LOCAL councillor in Cork has called for a review of the way fishing rights are allocated after a man was jailed for 10 days for refusing to pay a fine for fishing on a privately-owned fishery on the river Lee. Cllr Jonathan O’Brien, a Sinn Féin member of Cork City Council, criticised the system whereby fishing rights to private fisheries on rivers such as the Lee are leased to angling clubs who then confine fishing in those stretches to their members. Mr O’Brien was speaking following the jailing this week of Donal Cunningham (44), from St Colmcille Road, Gurranebraher, Cork, after he refused to pay a fine for unauthorised salmon fishing at a private fishery at Coolymurraghue on September 29th, 2006. Mr Cunningham was prosecuted by the Lee Salmon Anglers who have leased fishing rights downstream of the Anglers’ Rest from Sir Charles Colthurst of Blarney castle. 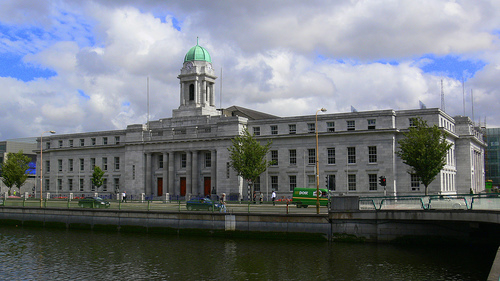 He was fined €100 at Cork District Court, and ordered to pay expenses of €274 and costs of €365. Mr Cunningham appealed the decision to Cork Circuit Court last December, where Judge Con Murphy affirmed the District Court order. However Mr Cunningham refused to pay the fine and penalties, and was arrested on Monday and taken to Cork Prison. Mr O’Brien said he accepted that due process was followed in the case, but said it highlighted the need for a review of how fishing rights were allocated. It seemed bizarre that an angler could pay €137 for a licence and still not be able to fish a river like the Lee. Sir Charles Colthurst told The Irish Times he did not wish to comment on Mr Cunningham’s case. On the issue of fishing rights, he said they had been allocated by the Land Commission in the 1920s when estates were broken up. Mr Cunningham’s brother, Willie, told The Irish Times his brother was refusing to pay the fine on principle as he believed that having bought a salmon licence from the South Western Regional Fisheries Board for €137, he should be able to fish the river. Lee Salmon Anglers secretary Paul Lawton said the 170-member club had asked Mr Cunningham for an undertaking not to fish the river on the beat they lease, and it was only when he refused to give any such undertaking that they proceeded with a prosecution. South Western Regional Fisheries Board manager Aidan Barry said anyone seeking to fish private fisheries needed permission from the owners or operators of the fishery, in addition to obtaining a salmon fishing licence from the fishery board.